A group of nationally renowned playwrights will present public readings of their newest scripts at The Repertory Theatre of St. Louis' Ignite! Festival of New Plays, running March 27 – April 4, 2019 in The Rep's Emerson Studio Theatre. 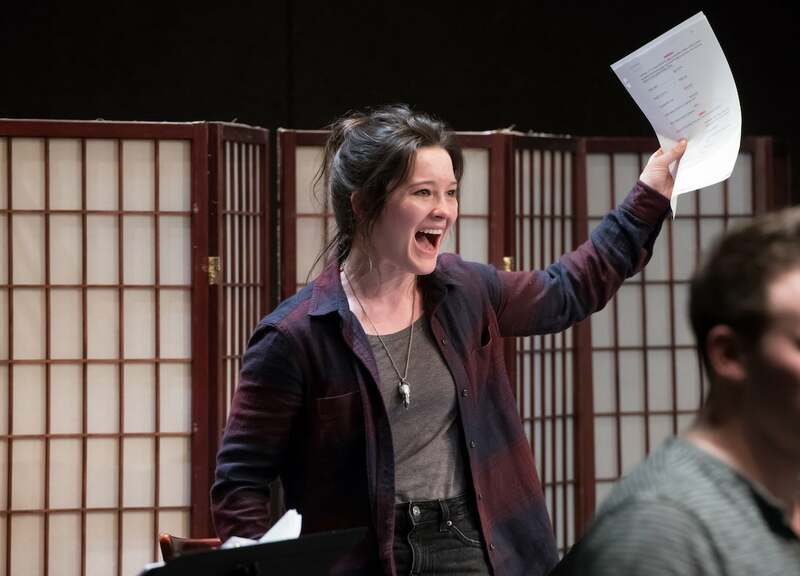 Launched in 2012, the festival offers St. Louis theatre lovers the chance to see in-development scripts performed by professional actors, and then offer their feedback directly to the playwrights in post-performance talkbacks. High school junior Harper and her best friend Hannah join their church’s Bible Quiz team. The more time they spend together, the more they learn about themselves, their faith, their sexual identities, and the intense and occasionally claustrophobic world of Bible Quiz. A crazy, heartwarming comedy by an exciting new voice in the American theatre. What does it mean to be human? In 1783, the lives of four outsiders come crashing together: Victor, a brilliant young student, Elizabeth, the love of his life, Henry, his best friend, and the Creature – a force that can unite them, or tear them all to pieces. This new adaptation celebrates the insight, passion and youthful exuberance of Mary Shelley’s seminal novel on the 200th anniversary of its publication. After an injury that should have killed her, the renowned artist Frida Kahlo finds relief from her pain through paintings that would change the rules of art forever. Despite a complicated relationship with her husband – the great painter Diego Rivera – and multiple surgeries, she never succumbs to self-pity. Frida is a new musical about a woman’s indomitable creative spirit and love for her husband, as told through the music, movement and art of her country. Tickets are now on sale and cost $10 for single performances or $25 to see all three readings. Notable Ignite! alumni include Dael Orlandersmith's Until the Flood, which world premiered at The Rep in 2016 and played at theatres throughout the nation in 2018, The Invisible Hand by Ayad Akhtar, Gidion's Knot by Johnna Adams and Soups, Stews and Casseroles: 1976 by Rebecca Gilman. Nonsense and Beauty, presented at the 2018 Ignite! festival, will make its world premiere in The Rep's Studio Theatre this March. For more information on Ignite!, visit repstl.org/ignite.